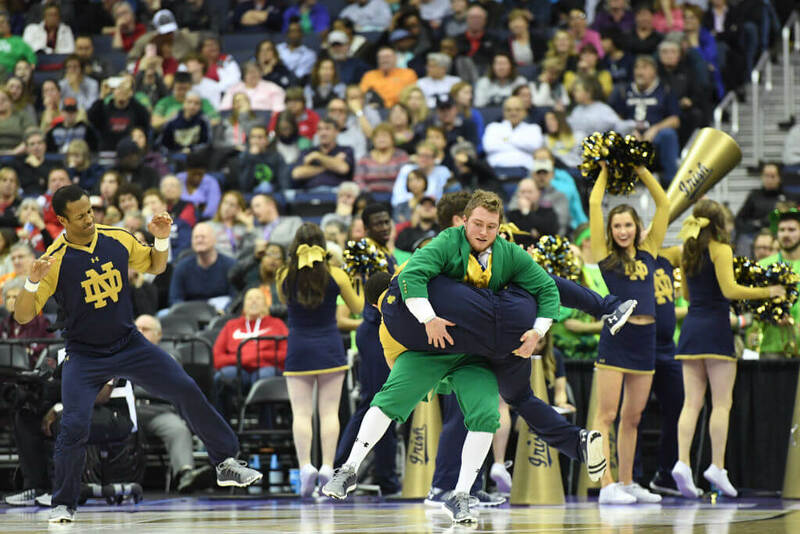 Put yourself in the shoes of a college mascot. You’re a vital part of the operation. The more you rile up the crowd into a fever pitch, the better your home team does. When they win, you win and experience the joy on the field like everyone else! Then again, it’s not always as glamorous as it seems. Some of the uniforms can feel like you’re trapped in an oven. Even worse, they aren’t machine washable, so keeping them clean and smelling fresh is no easy task. 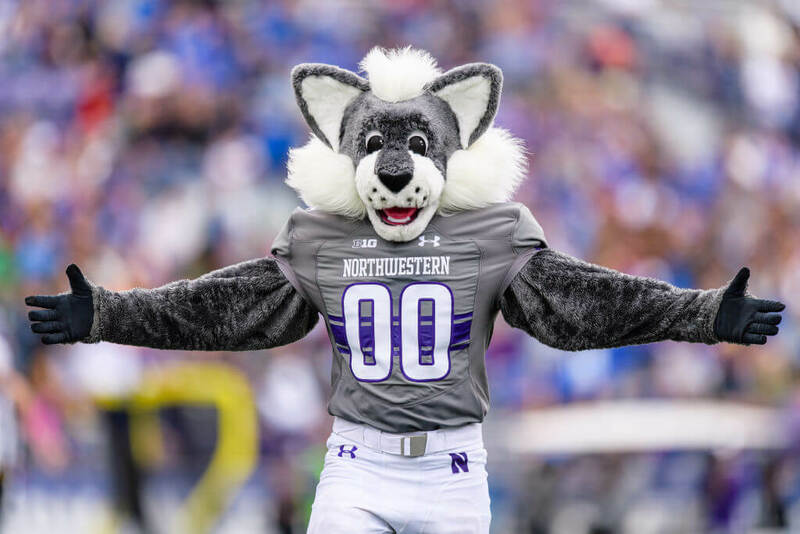 If you’ve ever wanted to know the truth about life as a college mascot, you’re in for a treat! 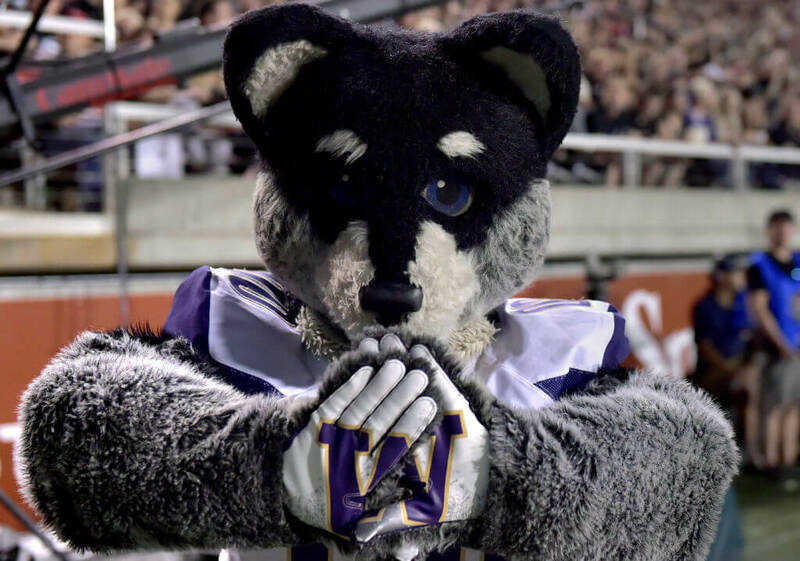 You won’t believe the real story behind mascot fights! 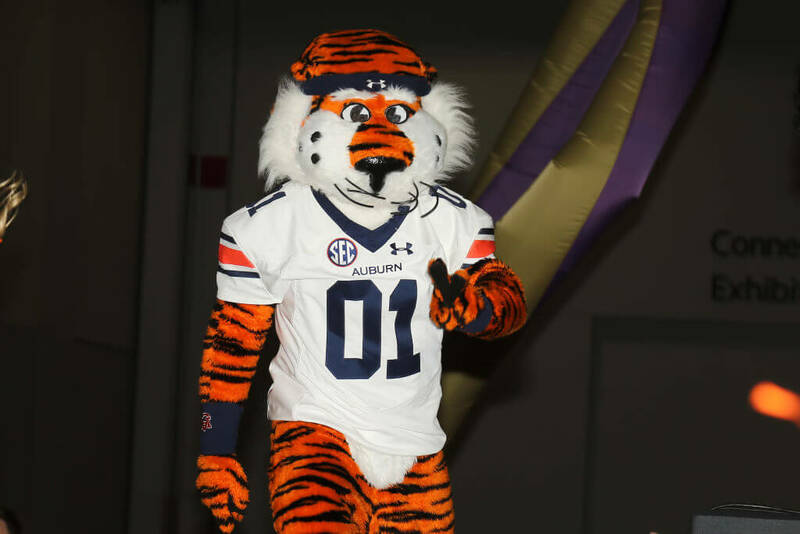 This first secret probably isn’t surprising, but the costume college mascots wear tend to smell. Really bad. It gets hot inside the costume, especially during outdoor games, and it gets extremely hot inside the costume because of it. On any given day, a mascot performer can lose up to 10 pounds of water weight! There’s also no real way to clean the costume, either. Just about the only thing you can do is kill the bacteria living in the suit. One old-school trick mascots still use is to fill a spray bottle with vodka and get to work. A spray bottle with Listerine works. And smells better, too! 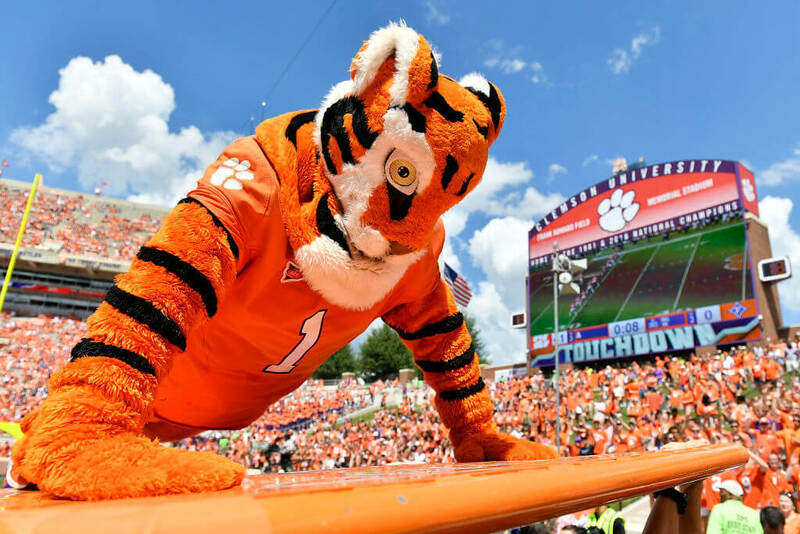 To make sure their newly-hired mascots are ready for the job, colleges send them to mascot camps. The programs typically last two weeks over the summer and bring in hundreds of new recruits. And to no one’s surprise, the mascots have a reputation as party animals. 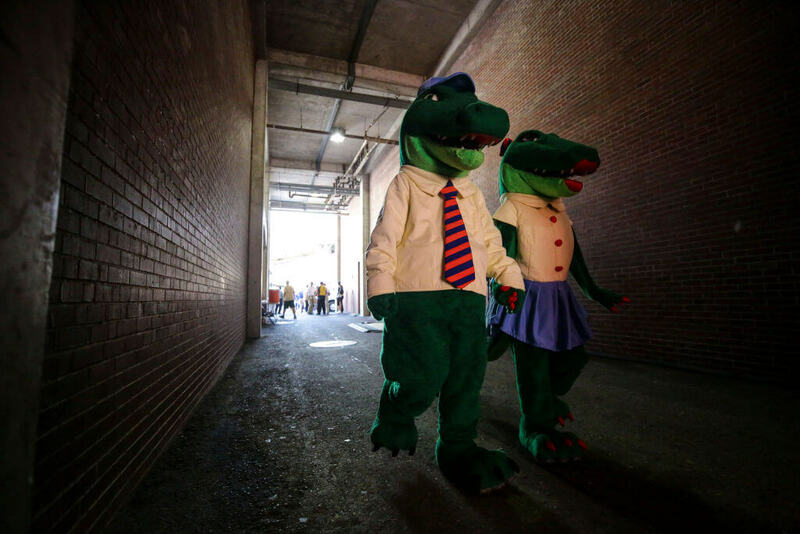 In two slides, have you ever wondered what happens when a mascot has to use the bathroom? Let’s be honest for a second; when you’re in college, you’re expected to party. One of the first things mascots learn is not to party too hard the night before performing. Being hungover in the suit is one of the most uncomfortable experiences a mascot performer can have. Mixing the dehydration with the massive sweating of being in the costume makes the hangover worse. Some mascots have even passed out while performing! If you ask us, it doesn’t sound worth it to mix business with pleasure on a Friday night! 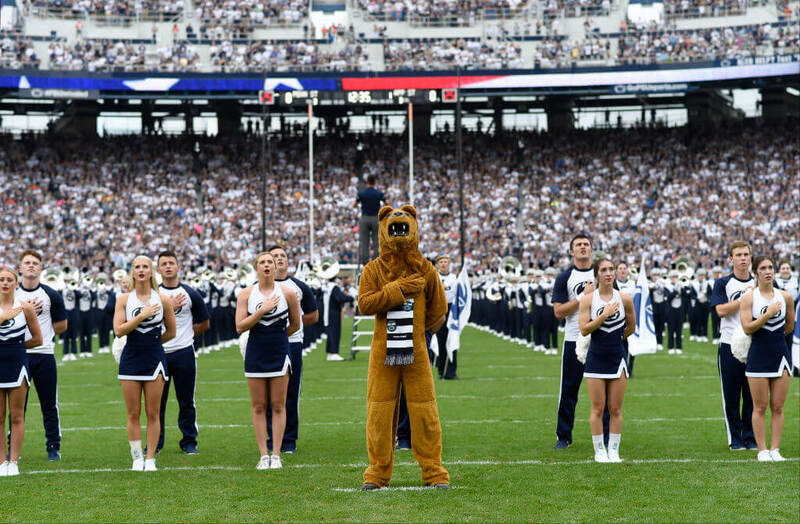 In the case that a mascot does have to excuse themselves, they typically hold it until halftime. The entire costume has to come off before the bathroom can be used, which can be an arduous process! Still ahead, we reveal the not so dirty truth about mascot fights! One of the most important rules of being a mascot is that no matter what happens or how tired you are, you must never stop moving. The bottom line is that someone is always watching you, even if you think they aren’t. This is one rule mascots must take seriously. 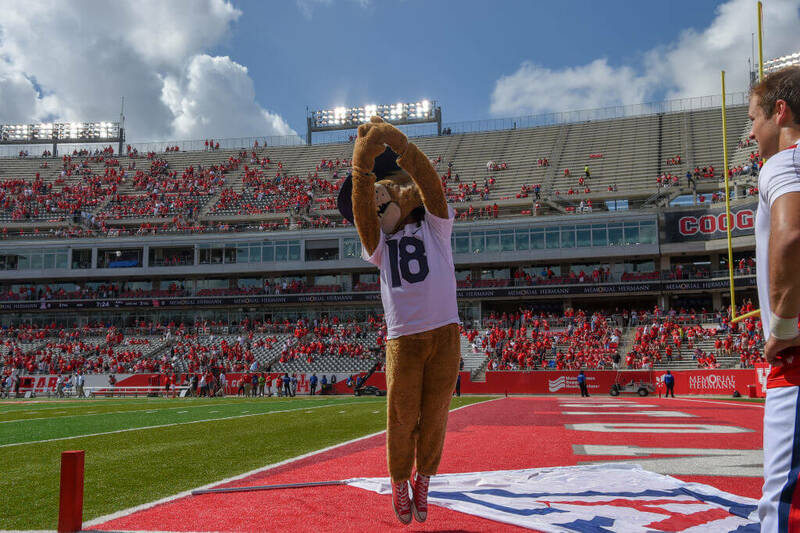 As one former mascot says, “if you’re standing doing nothing you’re breaking character.” Constantly being on the move also ensures that no one in crowds view is blocked for too long. The mascot is there to excite the crowd, not anger it. 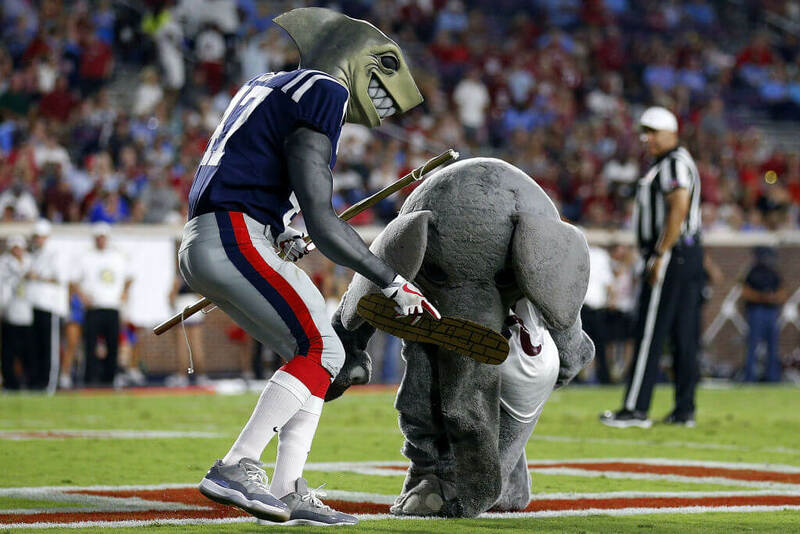 Mascot fights are one of the most fun parts of any college sports games. Rival schools know how excited these fights make crowds, and always pre-plan them. That’s right; whenever you see two mascots go at it, they planned the entire scuffle before the game. Mascots are able to do this because they usually share the same changing room. That means that while the Oregon Duck mascot gets in his costume alongside the Ohio State Buckeye, they can choreograph every ridiculous move and even decide who the winner will be! Next we answer the biggest question of all; how many students does it take to perform as one mascot? Being a mascot is demanding work. Aside from the usual sports events, mascots are required to make other public and private appearances. Some have even been paid to show up at weddings! Because of how demanding the schedule can be, schools hire multiple students to play the same character. It would be impossible for one student to put in the time and effort to go to every event and maintain their education. To offset the time demands, around five students will rotate shifts putting on the costume and entertaining the masses. Colleges go to great lengths to make sure you never find out who the face behind the mask in the costume is. 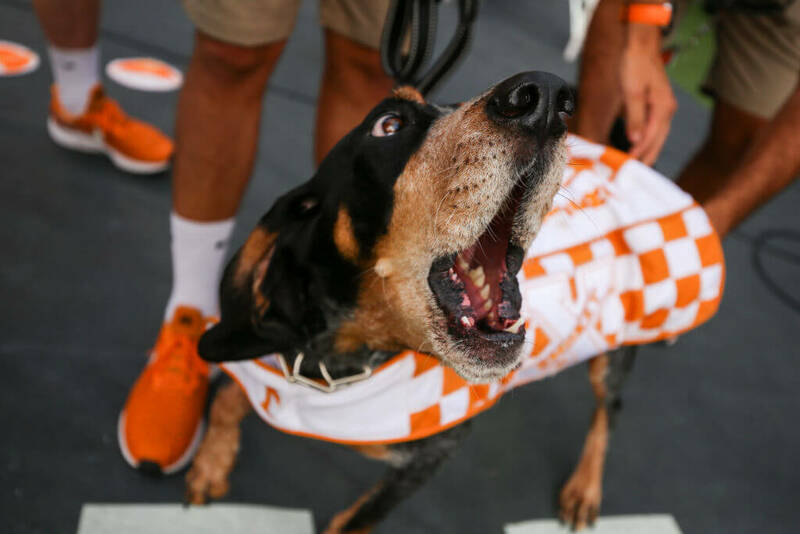 Students are supposed to feel like their mascot is a living, breathing being and must see it that way, not as John Doe majoring in Communications. That doesn’t mean the truth doesn’t spill out eventually. 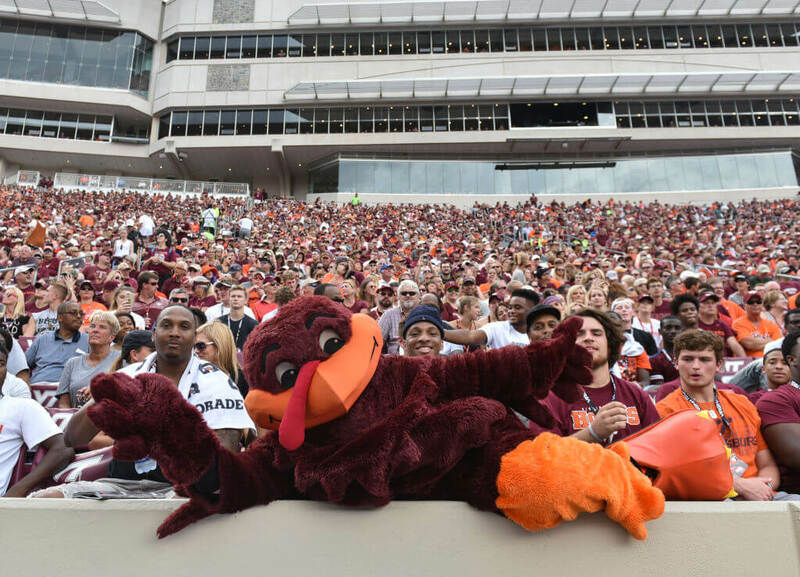 At Virginia, it’s actually a tradition for the Hokie Bird actor to wear the character’s foot to graduation, revealing their identity to their fellow classmates. 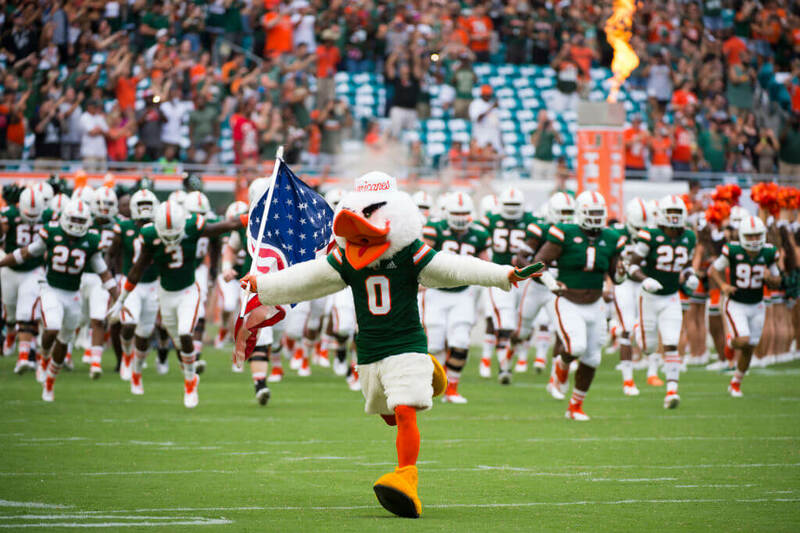 One of the best perks to being a college mascot is that you’ll get a full-ride scholarship. Not every program is this accommodating, but many of the largest are. The school’s ability to provide the free education depends on the size of profitability of its athletic program. This means that the mascot for Ohio State probably gets one, while Sammy Slug at UC Santa Cruz still has to pay his or her own way through school. There are also other perks that make becoming a mascot desirable. Find out what those perks are, next! 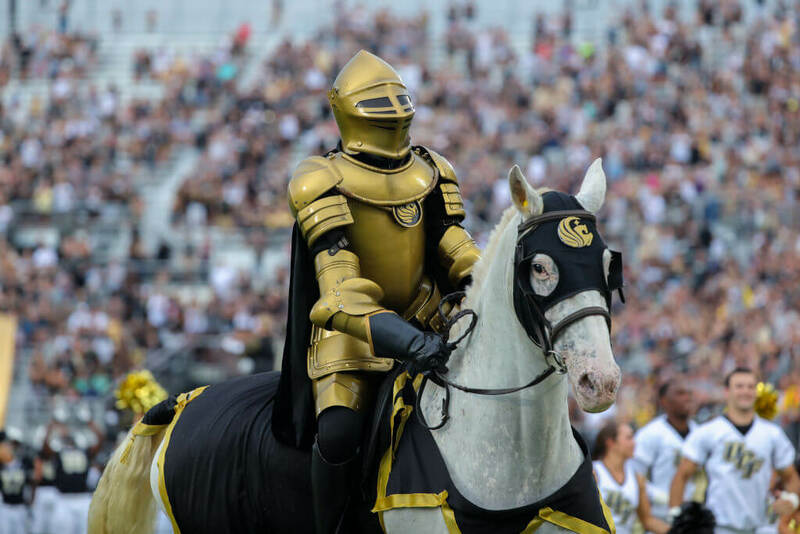 Mascots at major athletic programs live their lives behind the mask like kings and queens. They travel with the team to all events as part of the cheerleading team and get to hang out and party with the school’s biggest stars, all the while remaining completely anonymous. Some perks of travelling include private jets, fancy hotels, meal stipends, free team gear, and free food. A school like Alabama spends a lot of money on their athletes, and the mascots get to go along for the ride too! Not all athletic programs are created equal. Some are surprisingly forgiving when it comes to the costumes they provide for performers. 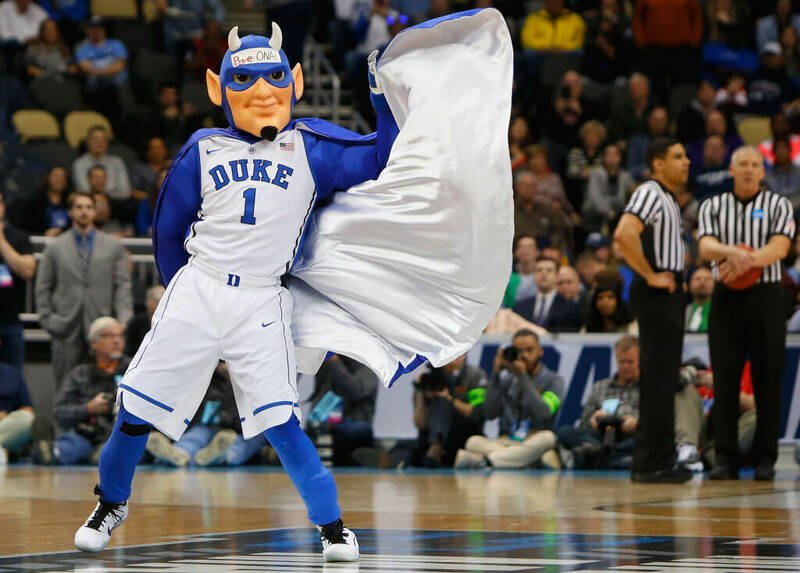 One former mascot said his school’s costume was a lightweight onesie with a big oversized bobblehead. He also said the school gave him a brand new costume at the start of the year. The school also parades the potential new mascot around families and children to see how they act while in character. Those who can’t think quickly on the spot are cut and not given a second chance. Up next, we reveal other audition tricks performers must show their school before being hired! When potential mascots show up to tryouts, the head mascot from the year before runs the show. He or she has the new performers get into costume and spend time reacting to different situations. Solo sessions follow where recruits performs for the cheer coach and cheerleaders, who judge them based on creativity and enthusiasm. The hardest part about the tryouts are the improv sessions. In one case, the directions given were, “it’s about to be kickoff at a football games. What do you do?” After the tryouts, everyone is told they’ll receive an email about possible call backs. We told you earlier about mandatory mascot camp. It turns out, most of the students attending are coming out of high school. 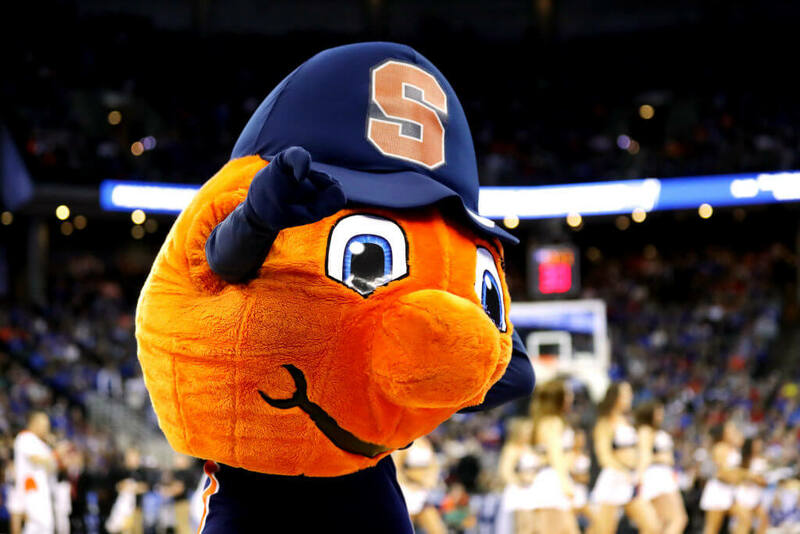 The road to becoming a college mascot is so cutthroat that it begins before you ever get your high school diploma. 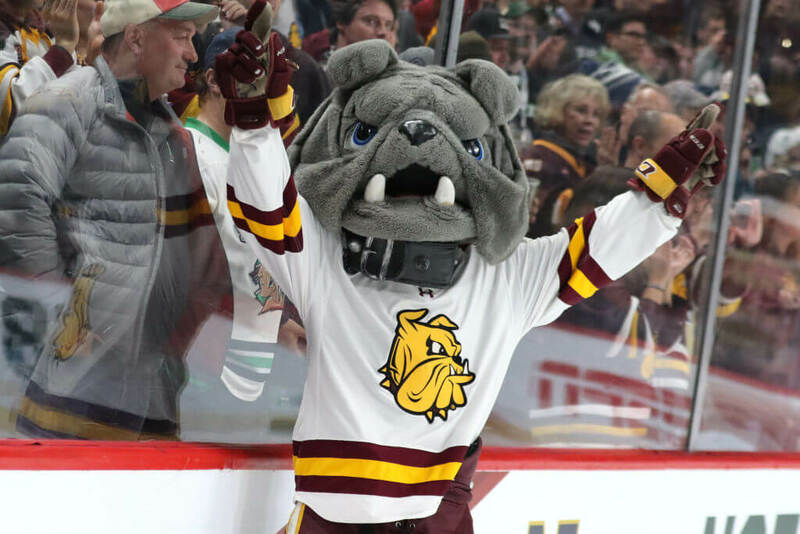 High school students interested in becoming a mascot have either already been chosen by their college’s program, or have been lucky enough to get the school’s attention some other way. The camp is seen as a vital way to test a performer’s incoming skill set. Dipping the costume in the bath only made matters worse, though. All the fur on the costume then fell off. Did we mention it was the only costume the school had? Yikes! In two more slides, do you know what happens when a performer gets hurt? Once inside the costume, mascot performers are no longer allowed to talk. Part of staying in character is only being allowed physical movement. When fans start asking them questions, they either nod yes, shake their head no, or act out the answer like charades. 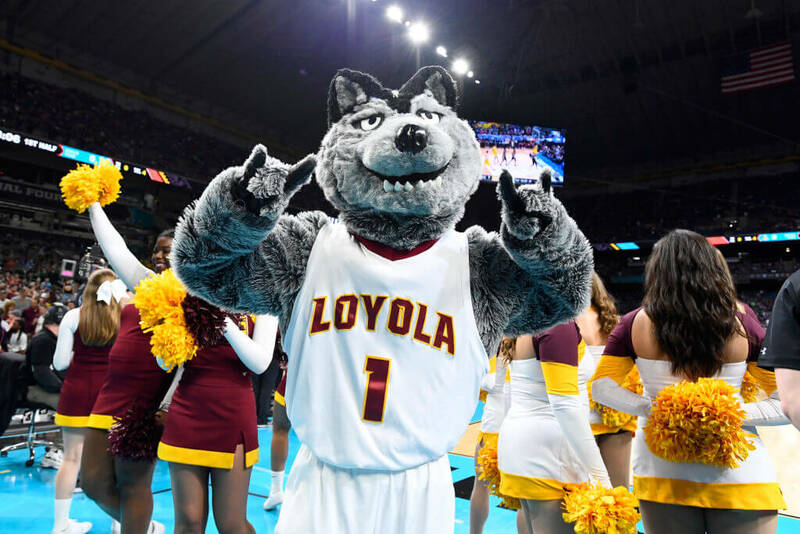 You’ll notice this more often with mascots for professional teams compared to college teams, but when a performer gets hurt, so does their character. Obviously, this is avoidable when five students are playing the same character, but schools with only one have to roll with the punches. It’s common for performers to get hurt, too. The job is incredibly physical, and as one says, “I’ve had a torn ACL, some pretty significant ankle and shoulder injuries, hand injuries.” They admitted the wear and tear on the body was the reason they stopped performing all together. Now that we’ve pulled the rug out from under you, let’s see how far we can go. Have you ever asked a mascot for an autograph? 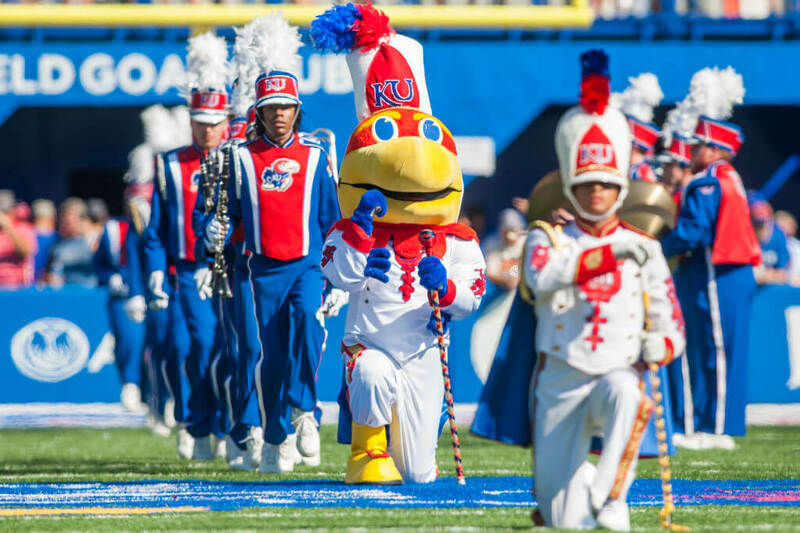 Each mascot has their own, unique signature that their performers must learn. When you’re in the costume you obviously can’t sign your real name, but your writing can’t look different from your coworkers either. To help with this, Erin Blank says, “some teams have developed very specific signatures for mascots. It’s something that gets passed on down through the years.” Time to check your mascot autographs to compare them all! The guy complained, even though there was nothing that could be done. 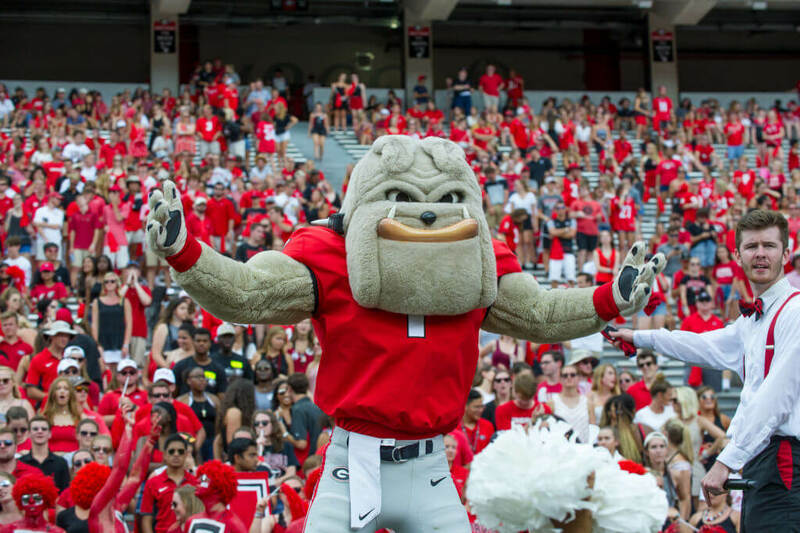 According to former mascots, the coach and players rarely complain about the mascot. It’s almost always the fan, and it’s one of the big reasons mascots must stay on the move at all times. We’re not condoning this behavior, but Erin Blank admitted once that she would sometimes purposely upset dogs at events. “I used to love making dogs bark and freaking them out. I get it can be a little bit of harassment, so I don’t do it as much as I used to,” she confessed. Remember, after her college days Blank became a professional mascot. These days she’s out of the costume and working to train new mascots with Keystone Mascots. Hopefully she’s not teaching new performers her bad habits!